Peak Physique Retreat is only 30 minutes from Sheffield. 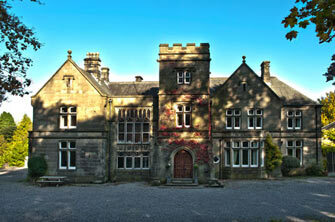 We offer a 5 day residential retreat based in Buxton, the beautiful Peak District. At Peak Physique we are dedicated to helping you loosing weight, getting fitter and most importantly educating and teaching you to continue your new healthier and fitter lifestyle. During your 5 day stay you will complete many different exercise workshops designed for all levels of fitness plus nutrition and lifestyle coaching sessions to help you understand, adapt and motivate you to continue far beyond the 5 days at Peak Physique. Peak physique is run by truly dedicated, passionate and highly qualified personal trainers. Are we a Boot Camp?